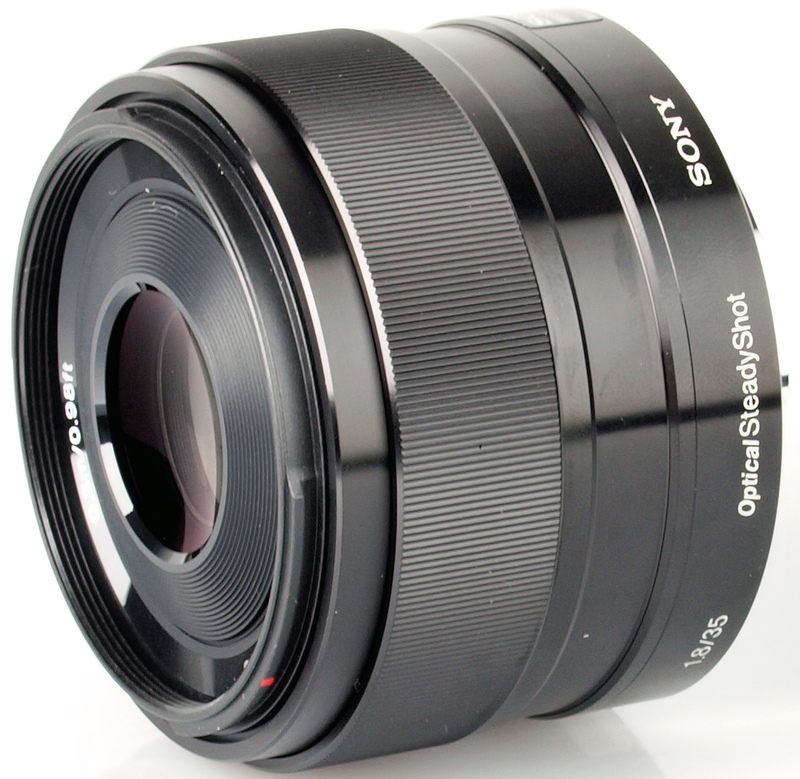 Gary Wolstenholme reviews the Sony E 35mm f/1.8 OSS prime lens for Sony NEX cameras. A prime lens with that provides an angle of view equivalent to a 52.5mm lens on a 35mm camera and sports a fast f/1.8 maximum aperture, optical image stabilisation and a lightweight, compact design. Unlike similarly specified lenses for SLRs, this 35mm f/1.8 for NEX cameras will be introduced with a price tag of nearly £400, which may put off budget-conscious photographers. Does the performance of this lens justify the premium? We'll investigate in this review. 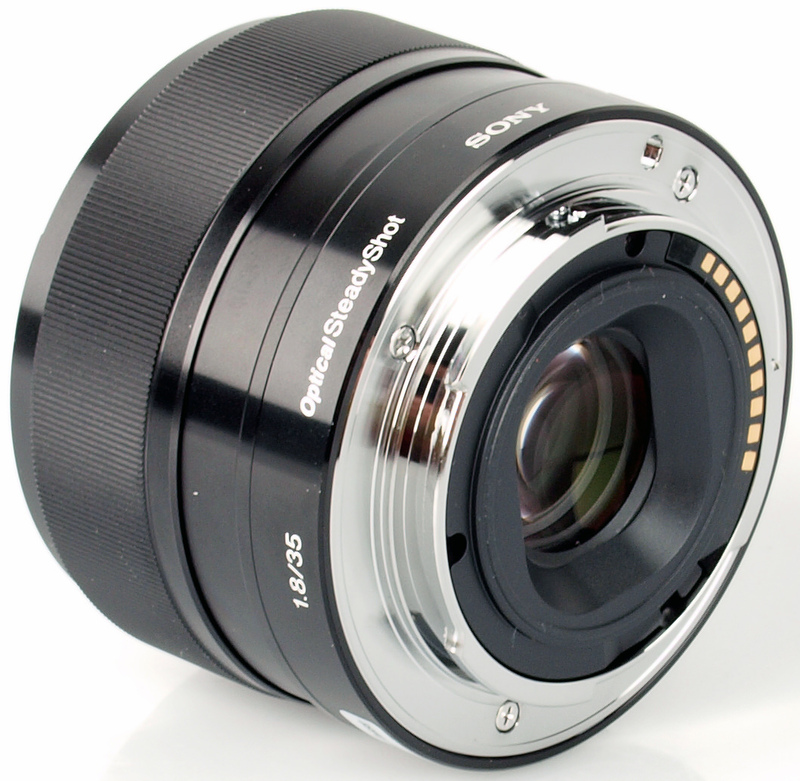 Build and design is typical of Sony's E-Mount lenses, with high quality black plastics that sport a glossy finish used for much of the lens barrel construction and a metal lens mount. Despite the very light weight of only 155g, the lens feels very solidly put together. The low weight makes sure the lens will match up perfectly with even the most compact NEX series camera bodies, and it handles very well on the Sony NEX-6 used for testing. Auto focus is very fast and accurate as a result at distances over half a metre away, but sometimes the lens can struggle to focus adequately on closer subjects. Applying manual focus adjustments is a pleasure, thanks to the smooth action of the focusing ring, which is perfectly damped. Minimum focus is 30cm from the sensor plane, which is fairly typical for a lens of this type. As focusing is performed internally, the 49mm filter ring does not rotate, which makes the lens ideal for use with graduated and polarising filters. A deep petal-shaped lens hood is supplied as standard, which attaches to the lens via a bayonet fitting. For those times when slow shutter speeds are necessary, this lens comes equipped with optical image stabilisation. With care, sharp hand-held images can be taken at shutter speeds as slow as 1/6sec, which is roughly three stops slower than the usual rule of thumb for hand-held photography would allow. At f/1.8 sharpness in the centre of the frame is already very good, and the clarity produced towards the edges isn't too far behind, which is excellent performance for a wide aperture lens like this. Stopping the aperture down improves clarity across the frame with peak clarity being achieved at f/4, where sharpness is outstanding across the frame. 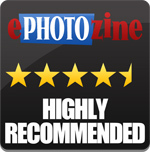 For this review, the lens was tested on a Sony NEX-6 using Imatest. Chromatic aberrations are very well controlled, barely exceeding half a pixel width at any most apertures. 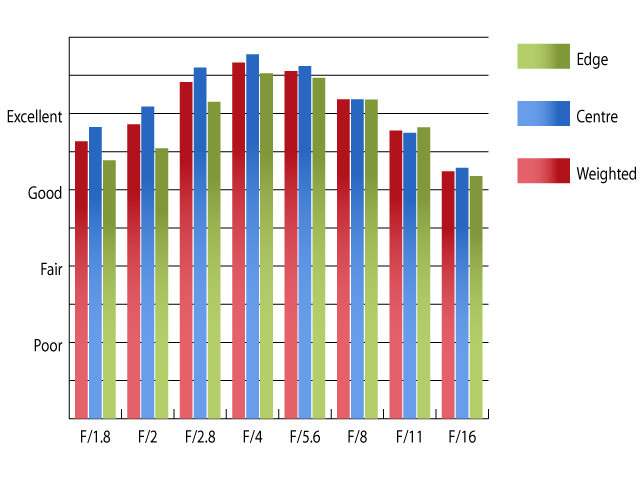 CA's just exceed half a pixel width towards the edges of the frame with the lens stopped down beyond f/5.6. This low level of fringing should pose very few issues, even in large prints, or harsh crops from the edges of the frame. Falloff of illumination towards the corners of the frame is quite reasonable for a lens with a f/1.8 maximum aperture. At f/1.8 the corners of the frame are 1.26 stops darker than the image centre and visually uniform illumination is achieved with the lens stopped down to f/4 or beyond. A very mild, but barely noticeable amount of pincushion distortion is present in images taken with this lens. Imatest detected 0.981% pincushion distortion, which will be very difficult to spot in normal images. If, however, you require absolutely straight lines, you'll be glad to know that the distortion pattern is uniform across the frame, which should make applying correction in image editing software afterwards a doddle. The supplied lens hood does an excellent job of shielding the lens from extraneous light that may cause issues with flare. Even without the hood this lens is very resistant to flare and retains good contrast, even when shooting into the light. Although £400 for a standard prime lens with a maximum aperture of f/1.8 may seem a little steep, especially to owners of SLR cameras, who may compare this lens to a 50mm f/1.8 equivalent, it still represents good value so long as the excellent optical performance of this lens is taken into account. The ace up it's sleeve is the addition of optical image stabilisation. Whether this is truly necessary at this focal length is open to debate, but this feature comes into it's own when longer shutter durations are called for. 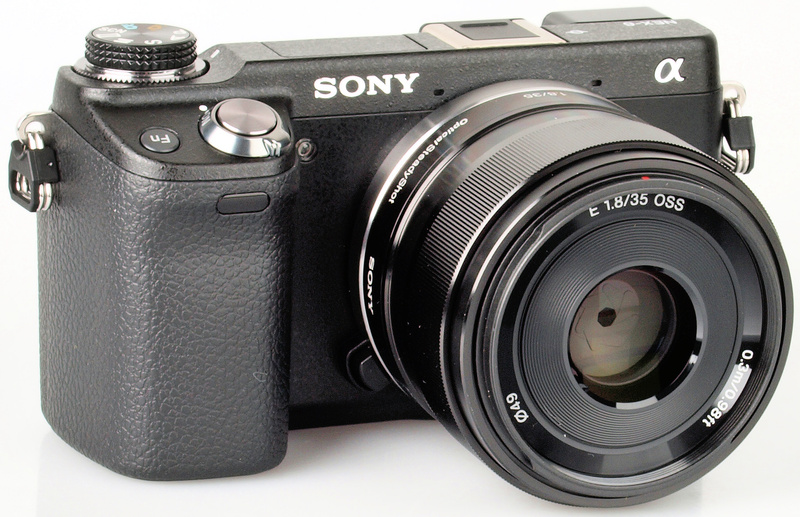 As an alternative, Sony NEX system camera owners may also consider Sony's A-mount 35mm f/1.8 SAM lens, which costs around £150 and can be used with a NEX camera with the correct adapter. This route may only suit those who already own a variety of A-mount optics to make the extra cost of the adapter, and extra bulk of the system as a result, worthwhile. If the fast f/1.8 aperture isn't absolutely necessary for your style of shooting, and you're on a budget, Sigma's 30mm f/2.8 EX DN lens may make a suitable alternative. It's much cheaper too, retailing for around £150. Although it seems this lens carries a bit of a premium price, the performance it delivers probably makes it worth it, for those who require it. Sharpness is very good from maximum aperture, and can even be considered as outstanding as the lens is stopped down. Other optical anomalies, such as CAs, falloff and distortion are also kept well in check, plus the light weight and compact dimensions of the lens should make this an ideal addition to any serious NEX camera owners kit bag. The addition of optical stabilisation can only enhance the appeal of this lens. The Sony E35mm f/1.8 OSS lens offers excellent performance with optical stabilisation a welcome feature. Thanks for the great review Gary! How does this lens compare to the quality of the Sony 50mm in terms of color and resolution? I really love the shots I get with the 50mm, but would love to replace it with the much more useful 35mm. Thanks for the great review Gary! How does this lens compare to the quality of the Sony 50mm in terms of color and resolution? I really love the shots I get with the 50mm, but would love to replace it with the much more useful 35mm. I don't think you'll be disappointed by the performance of this lens compared to the 50mm f/1.8. Good review. The NEX system lends itself to good quality fast primes, rather than the normal zooms. The 35mm does appear to be an excellent choice. 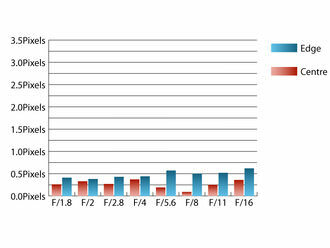 However, Sony seem to being going the same way as CaNikon and Sigma with the pricing of a 35mm. ie Expensive. As a Pentax user I remember the uproar on the price of the 35mm F2.4, which is a great lens. But since then, the Pentax lens has become a bargain! That is by the by, I like the NEX system but have been underwhelmed by the lens offerings. However, although this lens is a bit expensive, it suits the NEX so well, I may consider this system as a travel/backup to my Pentax kit. I just hope that Sony keep it up and produce yet more suitable primes to the NEX, as it deserves good quality optics. The NEX-6 isn't a full frame sensor, is it? So a 35mm lens wouldn't act as a 35mm lens, would it? It would be closer to a 70mm lens, wouldn't it? Motomanx, it will still act as a 35mm lens, but its angle of view will be similar to a 52mm lens in the 35mm format. A focal length of a lens, is the focal length of a lens. The differences are the angle of view, or "field of View" when it comes to the imaging sensor or film size. as some will say. The cheaper Sigma 30mm f/2.8 EX DN SE Mount referred to above is favourably reviewed for still photography by Amazon customers but one reviewer complains about clicking and other noises occurring on video. Is this much more expensive Sony lens free from this defect?